Be flexible with the time difference and make sure you have Skype and good WiFi when you finally secure an interview! Your DS-2019 has been issued. Now for the embassy! All participants must attend a mandatory USA Embassy interview in Dublin. Have a blast in the USA! Remember to keep in touch! Completed J1 application form, stamped and signed by you and your college. Please make sure that all your personal details are correct and match up exactly with the personal details on your passport. The slightest discrepancy can delay the issuing of your documents and visa, and also delay your departure to the US. One photocopy of your Irish visa must be submitted with your application, if you require a visa to live or study in Ireland. If you don't already have a passport or need to get your current passport renewed, sort it out now! When you apply for the J1 USA Work & Travel 2019 you must present the same machine-readable passport you will be traveling to the US with. You must also submit 1 photocopy of the 'Bio Page' with your application. 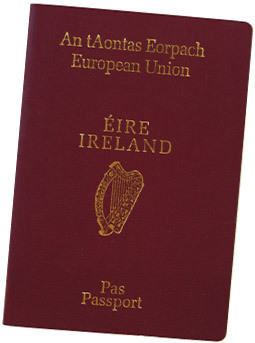 Check the validity of your passport Irish, British or EU Passports must be valid for the full duration of the participants J-1 WAT visa (max 4 month work period plus 30 days travel period). All other nationalities must have a passport valid until at least 1st May 2020. Check there are no errors on your passport Make sure your personal details match those on your birth certificate, and that all names and places have been spelled correctly. Passports must be in pristine condition The Embassy will not issue a visa onto a torn or tatty passport. If your passport is damaged in any way, please apply for a new one before submitting your application. If you lose or destroy your passport after you apply for J1 WAT 2019, you must immediately contact the USIT programmes department. Please e-mail as an attachment or post a clear copy of your new passport as soon as you receive it to the USIT Programmes Dept in Dublin. Make sure your new passport is issued with exactly the same personal details as your original passport. Any changes in your passport details will result in USIT having to VOID all issued documents with a cost of €100 to re-issue. All applicants will be called for interview at the US Embassy as part of the issuing process of a J-1 visa. Appointments will begin in February 2019 for early applicants. Northern Ireland students will attend their interview in Belfast and ROI students will attend in Dublin. The embassy fee is separate to the overall costs. All participants must make themselves available for and attend an interview with the US Embassy. Applications are accepted subject to further eligibility checks by programme sponsors. All visas are issued at the discretion of the relevant US Embassy. USIT cannot accept any liability should you not be granted a visa. If you are refused a visa, full cancellation fees will apply.